To say I was outraged would be to put it mildly. I was driving along in the left hand lane to make a left hand turn. Suddenly, out of the corner of my eye, I saw the semi truck in the right hand lane, the one beside me, cutting into my lane. He was quite blatantly inserting himself in front of me, not giving me any time to react, intent on his desire to be in the left hand lane. He came dangerously close to my car, and if I had not slammed on my brakes would have certainly caused a collision. I was shaken, and angry. And this happens far, far too often here. There is a form of driving behaviour that can only be deemed aggressive – but I would dumb it down a bit and call it what it is: bullying. This behaviour involves using your vehicle to control other drivers, and the driver this morning is a prime example. There is no doubt his vehicle is much larger than mine, and that it would not have sustained much damage had he caused a collision. His actions – forcing himself into my lane, even though he clearly knew I was there (I made eye contact with him moments earlier), can only be interpreted as an act of aggression. This sort of driving results in collisions, and while if we had collided this morning the results were not likely to have resulted in significant injury I wonder what could have occurred had this been at highway speeds. Driving in this manner is normally a pattern of behaviour, and a deeply worrisome one. I realize that transport drivers have deadlines, and being professional drivers must often feel frustrated with the driving public. This does not, however, excuse them from the rules of the road. In fact perhaps it makes it even more vital that they adhere to both the laws and the non-written common courtesy laws of the road, because they are in fact far less likely to be severely injured in a collision. A great deal of public safety rides with them every time they take the wheel, and this is a responsibility they should not take lightly. Since telling this story to others I have heard dozens of similar incidents, both happening within the community and on the highways around us. Aggressive and bullying driving behaviour is reprehensible in anyone, but when one is driving a ‘big rig’ and with potential to cause great harm it is even more troubling. We all have a responsibility to ensure the safety of those who share our roads, but when we drive a vehicle as our profession then it becomes even more paramount. For the record I followed the driver this morning to his destination, and I asked him who he drives for. When he declined to provide that information I advised him that he better hope I not found out, because I will lay a complaint about his actions this morning. And I also happen to have recorded his license plate number and make and model of vehicle to further my investigation into who employs him, because I think they deserve to know about his behaviour, too. 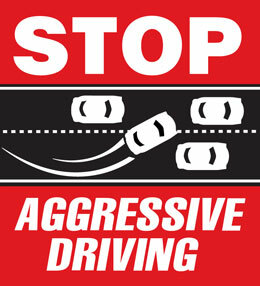 I encourage everyone who witnesses aggressive driving, particularly involving professional drivers, to report the behaviour. Safety on the roads rests with all of us, and if necessary we must take whatever steps needed to ensure it – including stopping the road bullies. There's certainly no excuse for rushing on a job to meet a deadline. Either do the job safe or don't do it. Good on you for following up on it I must say. Its pretty sad the company brushed you off. Wish there was some forum for posting the names of companies like this. Any contractor with any of the oil sands projects worth its salt would want to keep a good safety record to keep its contract.